At 4 in the morning, I couldn't find a better title for the post than a line from Beyonce's Hit Single-All The Single Ladies. Not getting any sleep and browsing random websites, looking for nothing in particular. Yep, thats me. There's a ring out there for all personality types and here are my picks for different types of dressers out there:) So read and find out which ring suits your style perfectly! 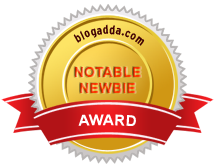 This one is for all you fashionistas who HAVE to be sporting what the celebrities do. The 'owl' trend has taken the world over by storm and has left no celebrity untouched. From the pendants to the ring now, its a must-have for the celebrity-fashion follower girl. 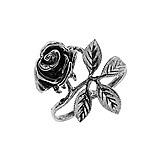 The rose ring is for the uber-feminine girly-girl. She will wear a delicate pendant over chunky beads anyday. A delicately carved out rose ring over a chunky rock anyday. This is for those damsels who love their ultra-feminine style. This ring spells out edginess. This is for the woman who loves her power dressing. This is for those not afraid to experiment. Strong, geometrical shapes for the woman who is not quite apprehensive about trying new looks. 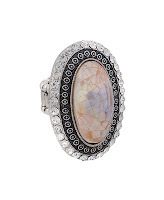 This is the versatile ring for the ring-lover in every woman. The classic silver oval shape with the chic criss-cross detailing should appeal to all alike and also because this ring's versatility comes through in its use. Be it jeans and a blazer or a salwaar kameez, complements all looks alike. This last one was actually supposed to be the 'vintage' ring from Aldo I bought but since I could not find that image, this is the closest I could find on Forever 21. The Mother of Pearl vintage looking ring is for those of you who like statement pieces. This ring is for the girl who shall let one piece do the talking along with being a snappy dresser. 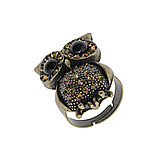 i have a similar ring from asos(d last vintage one)..love d owl one! Love the rose ring! I don't normally wear rings but these are gorge! Love the three finger knuckle ring! Great post!!! :) ♥ the rose ring!! I'm glad you guys enjoyed the post! funny, i was into the owl ring a lot last fall but now i hardly wear it. 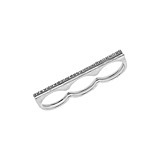 but my fave here is definitely the three finger knuckle ring--it rocks!